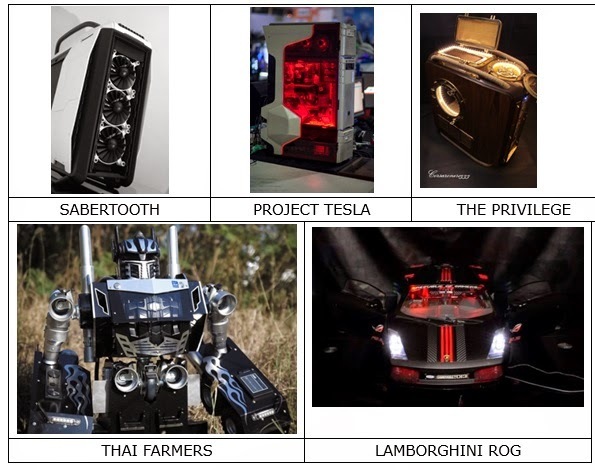 Modders worldwide will surely be happy to know that the Cooler Master's Case Mod World Series begins January 7, 2015. This is the biggest modding event of the year and Cooler Master is inviting all modders to come up with their most creative design and surpass the limits of PC case design. This year's competition will have two categories ‘Tower Mod’ and ‘Scratch Build’. Judging will be limited to only the judge panel, which includes: Richard ‘Darthbeavis’ Surroz, Peter ‘L3P’ Brands, Brian ‘BOD MODS’ Carter, Ronnie Hara, Mathieu ‘Sassanou’ Heredia, Richard Kiers, Antony Leather and the sponsors. A newly created award 'Rising Star' will also be determined by the panel of judges and will be given to the future star to watch for in the modding scene. Also, a ‘People’s Choice’ will be chosen based solely on public voting. If you want to join the competition gear up and join since the contest begins January 7. Details are posted at mod.coolermaster.com. For two decades, Cooler Master has sought to provide cutting-edge cooling technology for a broad spectrum of computing devices. With a full lineup of innovative products, including heat sinks, fans, cases, component housing, opticals, and other accessories, Cooler Master delivers state-of-the-art thermal solutions to customers worldwide. We have become an industry leader through exceptional service and unrivaled commitment to quality.For additional information on Cooler Master, please visit http://www.coolermaster.com.